Home / Mental Muscle / Getting to Know Jess Bandit! Getting to Know Jess Bandit! Last week we had a chance to get to know long-time RDA Coach (and my performance nutrition spirit animal) Lilith NoFair, author of the Derby in the Kitchen column. This week, we get to meet the newest Coach to join the RDA team! Jess Bandit is now bringing her Mental Muscle column to All-Star and MVP members, and I’m stoked to finally have the ‘third leg of the stool’ so to speak. Now with Jess’ expertise on board, we’ve got physical fitness, nutrition and fuel, and mental toughness all covered under one (digital) roof! So, let’s dive in and get to know more about Jess and what turns her crank! Booty Quake: Anyone in Canadian roller derby knows you’re pretty much a legend! But for the rest of the world… tell us a bit about your derby career so far. 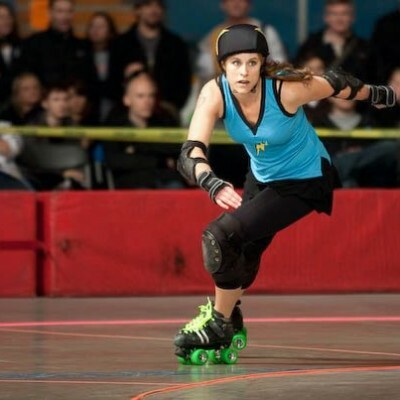 Jess Bandit: I was a member of Montreal Roller Derby for 10 years – competing with the New Skids on the Block. During this time, I played in the first international WFTDA game, as well as the first international WFTDA tournament in London, England. I also got to compete at WFTDA Champs…. in the first Canadian team to do so! There’s been a lot of “firsts”, haha. As well as playing with New Skids on the Block, I competed at the 2011 and 2014 World Cup as part of Team Canada. I’ve recently retired from roller derby as an athlete so I can have full focus on coaching. I’m the Head Coach for the Mont Royals from Montreal, QC (MRDA), as well as the Head Coach for Team Canada! Team Canada is super lucky to have you! Especially with your expertise on the sport psychology side. Can you tell us about your training in that? As roller derby evolved, I became more aware of my mental game and did research on the subject to figure out what was going on in my mind. It was during studying for my Bachelor of Education at McGill University that I learned about sport psychology. As I was studying Physical and Health Education, sport psychology was a required course. I fell in love with the topic, so much so that I wanted to continue my education in the field. I received my Masters in Consultation and Intervention in Sport from the University of Ottawa. I learned about sport (and exercise) psychological theories, counselling theories, and mental skills training techniques. The best part… I was required to complete a 400hr internship! I got to teach coaches and athletes, from a variety of sports, about mental preparation and mental skills training. I’m now a professional member with the Canadian Sport Psychology Association (CSPA). What about when you’re not derbying… what’s your day job like? 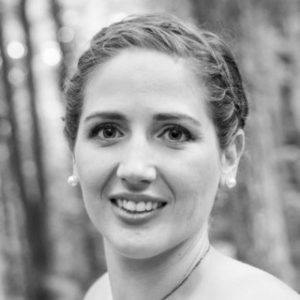 I’m a physical education teacher in Montreal, QC. I love my job! I get to work with adolescents, so it’s never a dull day. I also work with athletes and coaches in my spare time as a mental performance consultant with New Heights Mental Performance. Fun! Do you teach mental skills training with the kids at school to help them get over themselves in class? I imagine there’s a mix of people having a great time, and people who are terrified to fail in front of their peers. It’s hard to turn off the mental performance side of myself, so I tend to give out mental strengthening tips to students without them realizing it! I think the biggest skill that I help students with in class is their positive self-talk. I hear them tell themselves “I can’t” or “I don’t think I can” before even trying. Other major skills that I help my students develop when in the gym are communication, focus, and emotion control. What kind of mental training do you plan to implement with Team Canada this year in preparation for Women’s World Cup? Focus is key. I want to see the team perform to the highest of their abilities. I want the team to enter the World Cup with confidence and poise. Preparation is going to be important: from goal-setting to intensity control. We have a lot of work to do on and off the track. What lessons did you take away from your experience coaching the Men’s team at World Cup in Calgary this summer? Canada is a big country, so technology is essential to communicate and connect with all of the athletes on the team. Another take away lesson is plan, plan, plan. You can blink and next thing you know there is one month before the World Cup! There was a lot of planning even before the team was selected. Planning leads to better preparation. Tell us about what it was like to play for Montreal in the WFTDA Championship Tournament – you were the first Canadian team ever to make it to Division 1 Champs! It was amazing! It was a goal of Montreal Roller Derby ever since we made it to our first WFTDA Playoff game (or “Regionals” as it was known back in the day). I really focused on staying in the present, playing my best, and enjoying the moment. It was a great feeling leaving Champs knowing that I gave it my all and had fun in the process. What’s the mental game element you struggle with the most, personally? The one aspect that I had to overcome was my self-talk – I used to get in my head so bad! I was constantly pointing out my faults, especially in games: what I couldn’t do instead of what I could do. 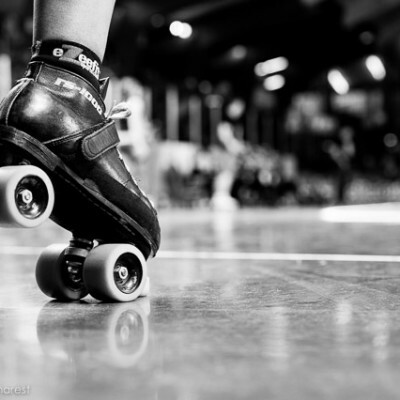 It wasn’t easy to correct that habit, but it really affected my confidence as a roller derby athlete. It took a couple of years of hard work to re-train my brain. It all started with being more aware of my thoughts, changing my mind-frame, and taking ownership of my abilities and strengths. 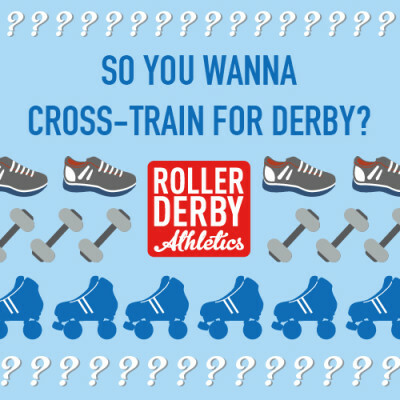 Can you give us a sneak peek of some of the topics you’ll be covering in the coming year for our Members at Roller Derby Athletics? Just like training your body to be ready for game day, mental training doesn’t just work overnight. So I’ll be addressing a few topics in depth with some multi-part series. Topics like self-awareness and reflection, goal setting, self-regulation, and imagery. I’ll also be picking a couple of members to do an assessment with that we’ll share with everyone, so I’m looking forward to that. OK, Final Jeopardy. Tell us something weird that only your teammates would know about you! I’m not a fan of dance floor after-parties. I prefer to hang out, have a drink, and talk. I’m really looking forward to the new focus on mental preparedness that Jess is bringing to Members here at Roller Derby Athletics. If you are too, you’ll want to check out our new membership offerings! Got questions for Jess Bandit? Topics you’d like to see covered? Ask in the comments below!